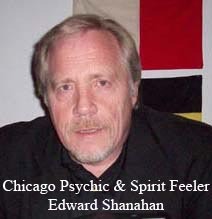 Edward Shanahan is a Chicago entertaining Psychic Reader that has been written about in four paranormal books, with two published in 2009 and in local and Chicago newspapers. He was a guest on WGN radio in May of 2010. Besides providing entertaining Psychic Parties, he also offers Private Paranormal Nights at three historic locations documented as being haunted. This allows private groups to explore and experience the locations, he provides each person a brief reading and also at the end of the night, he does his 'Circle of Energy Seance', with all those attending. Check out our event insurance tips or find upcoming festivals and fairs including music festivals, live concert tour dates plus county and state fairs. Additional events of interest may include Branson shows, New York Broadway shows and top rated Las Vegas shows. Be sure to watch our rare music videos or browse vip tickets.